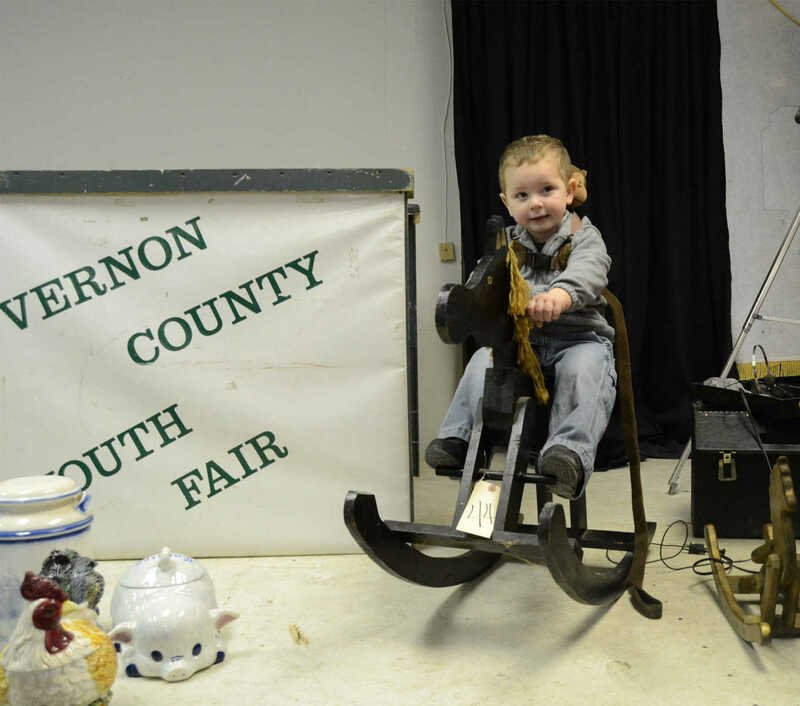 Hunter Feldmann checks out the rocking horse at the FFA Auction on Saturday. 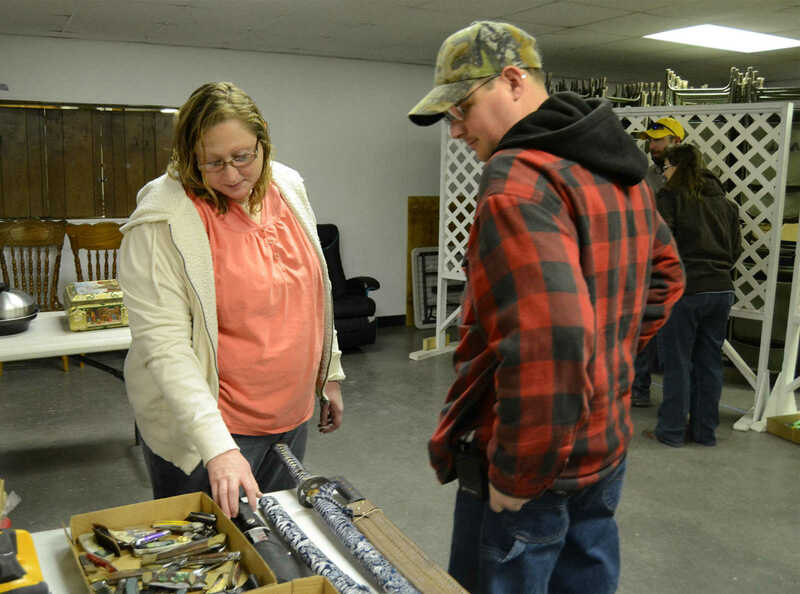 Jennife and Brandon Leer check out the knives and swords at the FFA auction on Saturday. 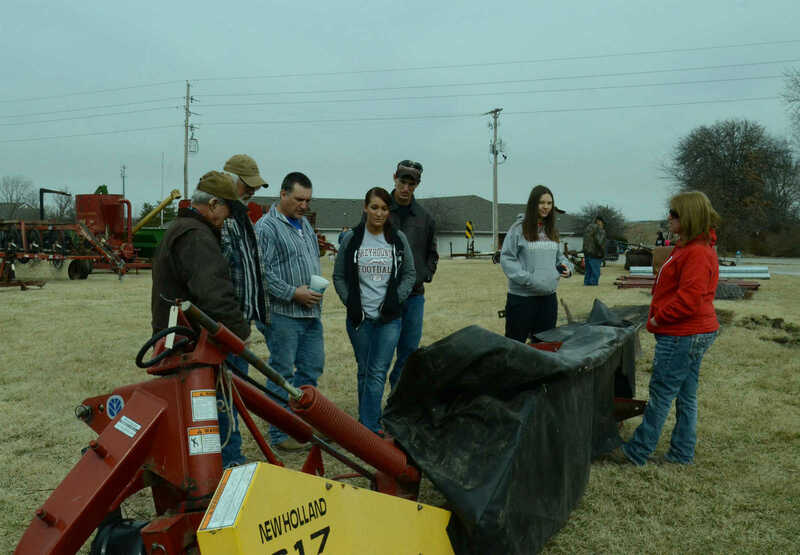 Potential buyers look over farm equipment at the FFA Auction on Saturday. 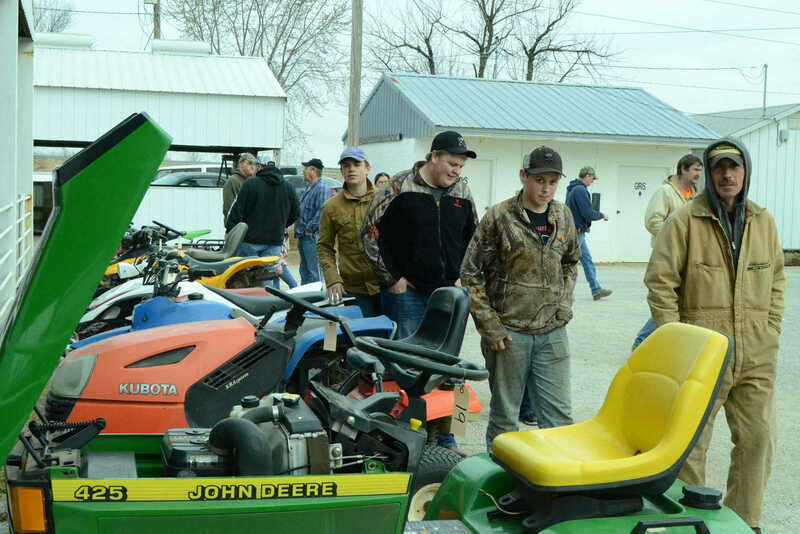 Potential buyers check out outdoor vehicles for sale at the FFA auction at the Fairgrounds on Feb. 22. 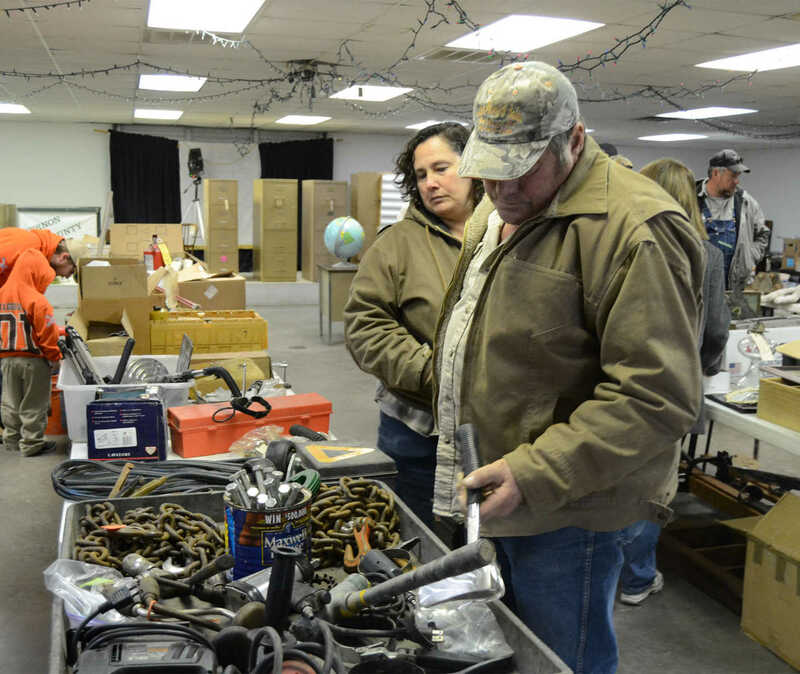 Jerry Stangel examines tools for sale at the FFA auction in the Fairgrounds Home Ec building on Feb. 22.